Growing up we never went out to eat. We couldn’t afford it, and it also wasn’t as common to dine out as it is now. We would go out to eat every six weeks to celebrate our good grades on our report cards, and my sister and I usually chose The Ground Round or Nam Wah. I don’t remember if they had Vietnamese food on the menu, but they served Chinese food. 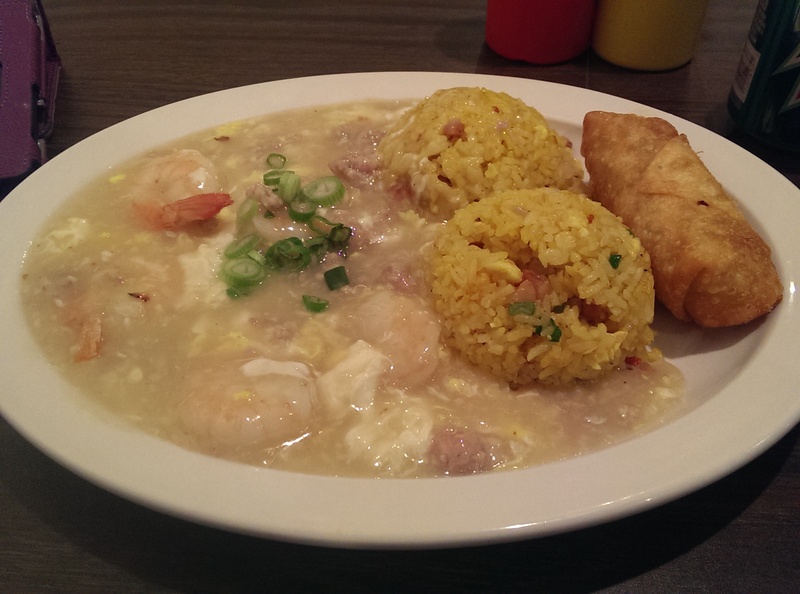 American-Chinese food (obviously). It was nothing spectacular, but most restaurants weren’t back in the 70s/80s (shhh! let’s let my age be our little secret). 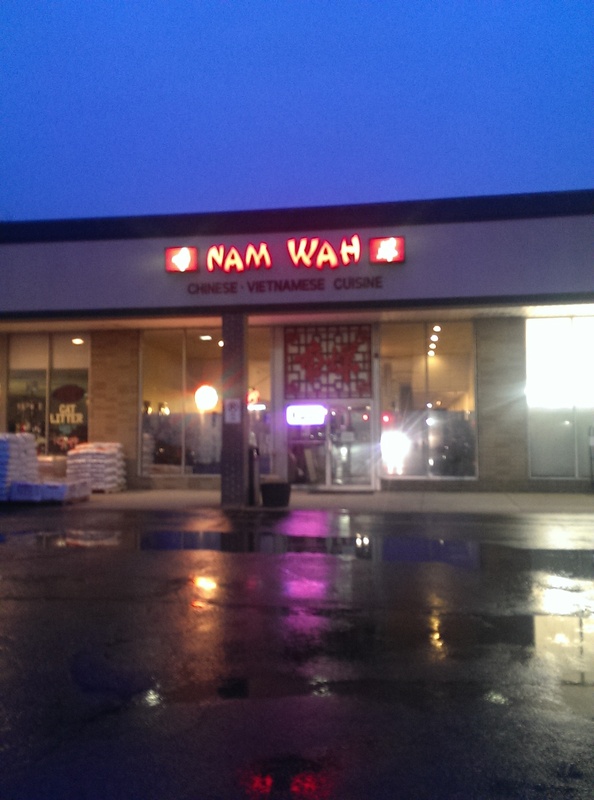 Back then, Nam Wah was a tiny little hole in the wall in the strip mall behind McDonald’s on Bagley Road. I remember it being dark with a lot of Asian flair. 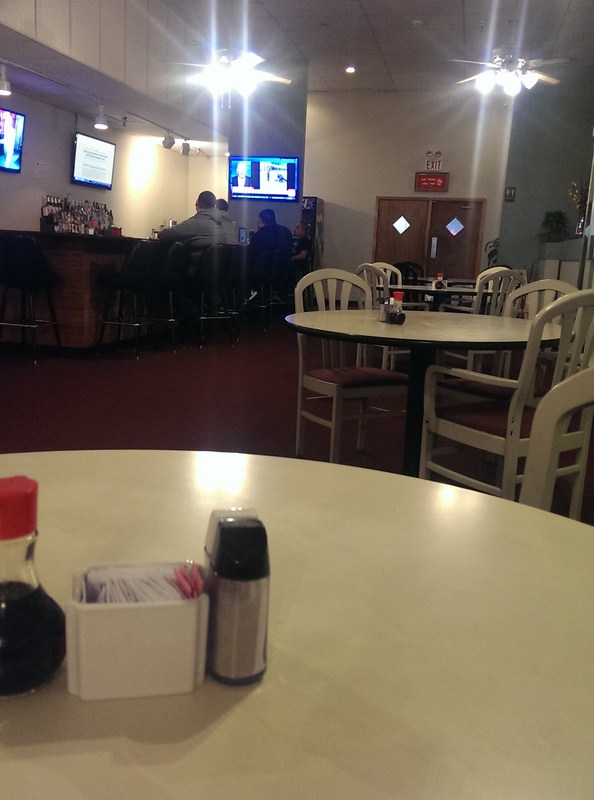 Over the years they expanded the space, making the restaurant industrial and no longer cozy, and the quality declined. I am happy to report the restaurant is under new management, and they have expanded the menu to include a lot of Vietnamese choices. There is still not a lot of ambiance (there are booths lining the wall to the right behind a little partition), but the food is definitely much improved. The new owners appear to be a couple young guys who are really friendly and enthusiastic. Back then, I was addicted to their shrimp with lobster sauce. I never got anything else. I thought I was being so fancy ordering shrimp and lobster. I would get the combo platter with fried rice and an egg roll. I loved mixing the rice with the sauce. My sister stuck with chicken chow mein or chop suey. We weren’t that adventurous back then . Chow mein at home meant opening cans of water chestnuts and chow mein noodles and mixing it with celery and a meat. Tasteless and bland. It was different here, more flavorful. I ordered my shrimp with lobster sauce for old times sake the other day despite the fact that I am allergic to egg and no longer like lobster sauce. It turns out I don’t like other restaurants’ lobster sauce, but the one at Nam Wah is still as good as I remember. It isn’t spicy and can be a little bland, but you can always add mustard sauce or sriracha if you like it spicy. I still love it anyway. I enjoyed making a perfect bite by mixing the pork fried rice and the sauce. The egg roll was nothing to write home about. It was pretty bland and mostly filled with cabbage. My first visit back in probably twenty years or so was on a cold and rainy night for a bowl of pho. I am happy to report that the pho is delicious. 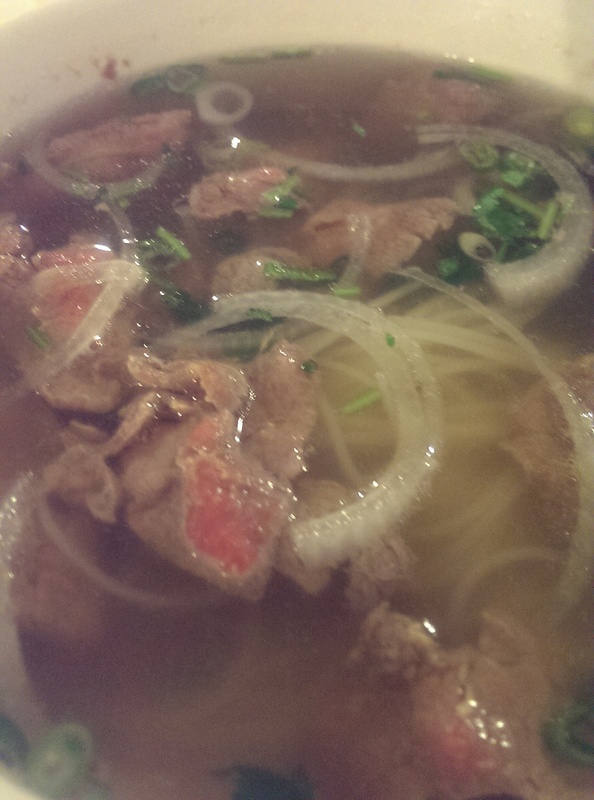 The broth had a good flavor to it, and the meat was plentiful and a little thicker than at other pho places. 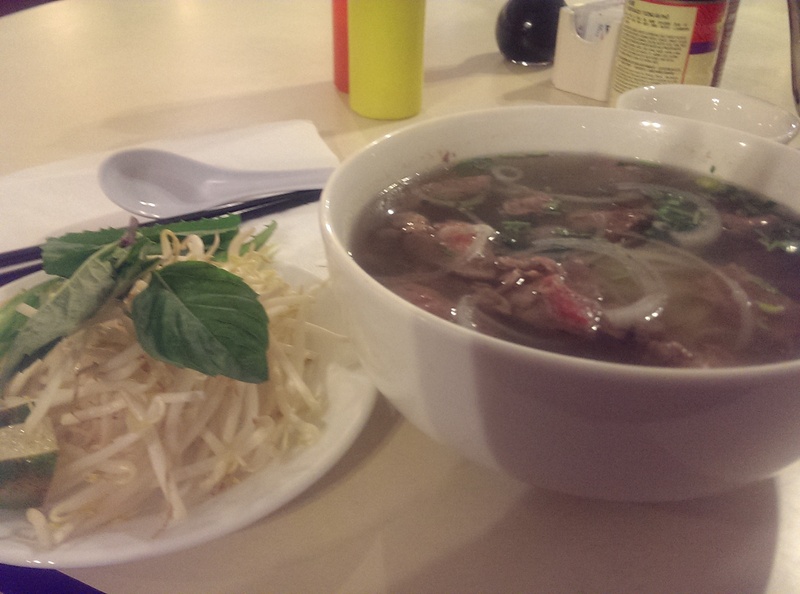 I think it is even better than Superior Pho, because the broth is just deeper and richer. I could taste the cinnamon, Chinese 5 spice, and star anise in the broth. They serve the pho with the accompanying plate of add-ins, but the add-ins include an herb called culantro, which is a kind of cilantro, in addition to Thai basil. That was definitely unique. No other place I know in Cleveland serves it like that. This is definitely a great bowl of pho. I will definitely be going back and ordering this again. 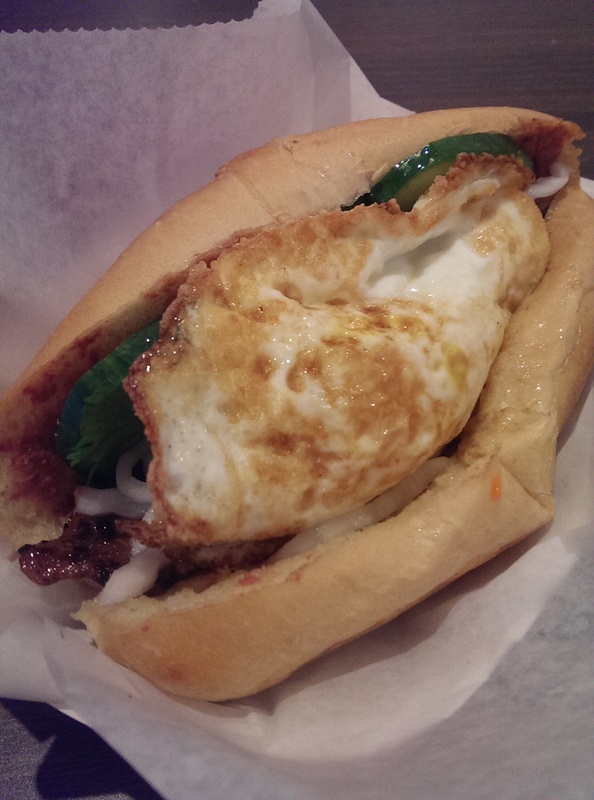 They serve four different kinds of bahn mi (deli sandwich, grilled chicken, grilled pork and grilled beef) – and it comes with or without a fried egg on it. Do yourself a favor and make sure to break the egg yolk before you bite into it. Otherwise it will come shooting out and drip down your shirt and your hands. I was a mess, but it was worth every bite. The creaminess of the egg mixed with the grilled pork and fresh vegetables. 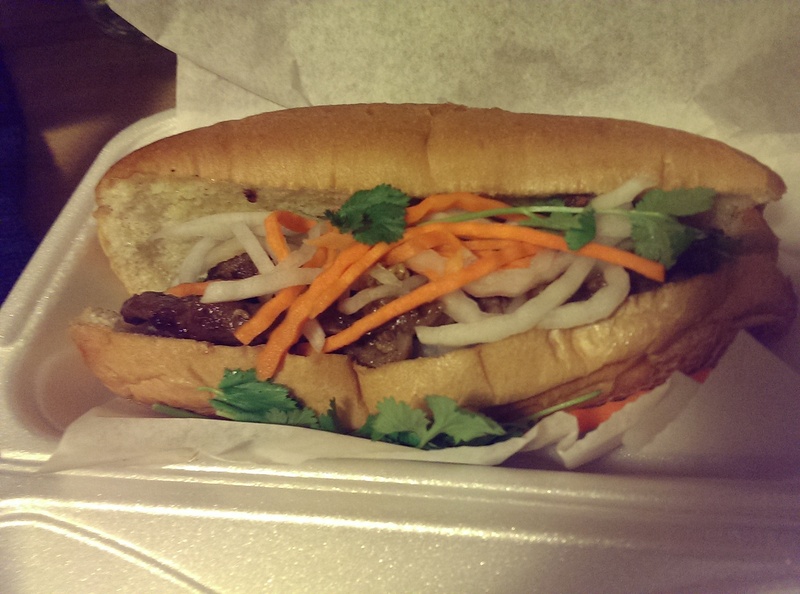 All of the bahn mi include carrot, cilantro, cucumber, daikon, homemade pate, and jalapeno. The bun was soft, and the flavors melded well together. The next time I go I will be ordering the pho and the bahn mi again. I want to try their one of their Dac Biets, which I hear are fantastic. 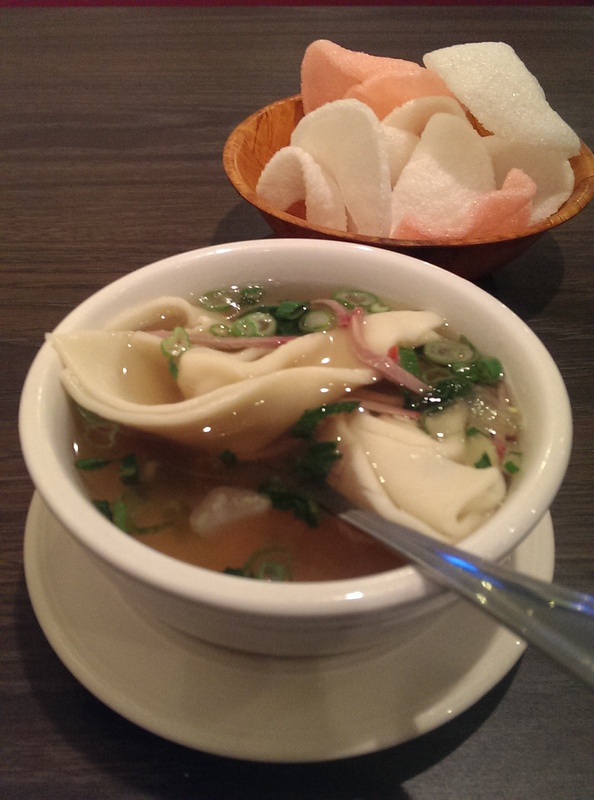 On my Chinese-focused visit I ordered a cup of wonton soup with my shrimp and lobster sauce to warm me up, and it came served with a side of very flavorful shrimp chips. I had completely forgot about the shrimp chips we used to eat as kids. It was always served like bread or chips and salsa – as a taste teaser. The wonton soup was good. The noodles were more noodle than filling, but the shredded pork and green onions are nice additions to the broth. I can recommend their unsweetened iced tea. I believe it is made from jasmine tea and is quite delicious. If you want soda it comes in a can. The hot tea is strong and flavorful as well and is served in metal teapots like you find at most Chinese restaurants. I’m just thrilled that folks on the West Side of Cleveland have access to a good Vietnamese restaurant. I hope they take advantage of it.